Four women are trapped in a garment factory fire – is this 1911 New York or modern day Bangladesh? White Rooster Theatre is proud to present Remnants by Jenna Turk. 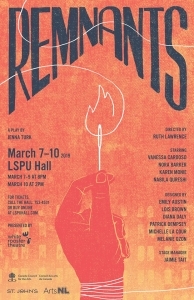 Remnants is an imagistic play inspired by the 1911 Triangle Factory fire in New York that took the lives of 146 garment workers (most of whom were young immigrant women) and carries the audience through the day’s events leading up to the city’s deadliest workplace disaster prior to 9/11. This story may be from the past, but it is terrifyingly relevant. In a 2012 garment factory fire in Pakistan 260 people died, and in 2013 more than 1134 people were killed when a garment factory collapsed in Bangladesh – again, most of the dead were women. The Triangle Factor Fire helped spur the growth of the International Ladies’ Garment Workers’ Union that fought for better working conditions. Remnants aims to give voice to the lost women. Directed by Ruth Lawrence, the play stars Nora Barker, Vanessa Cardoso, Karen Monie, and Nabila Qureshi. 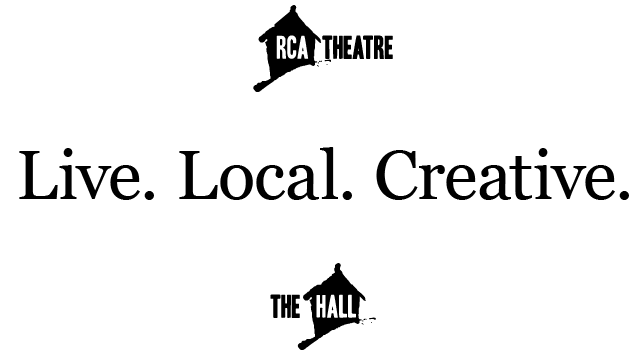 The creative team includes Emily Austin, Lois Brown, Diana Daly, Pat Dempsey, Michelle La Cour, Melanie Ozon, Lynn Panting and Jaimie Tait.